The rabbit hole is going to get really deep. I am initially concentrating on the standard gable wall and then onto the shed wall. Some of these wall types will also require a mirrored version (just another parameter in the wall menus). Note, that a triangular wall is nothing more than a degenerate gable wall where the wall height is zero at the start and end of the wall. A shed wall with the lower wall set to zero height is a right triangle. The same sort of logic can be applied to all the other various wall heights shown. Things get a little interesting when you start moving these type of walls or walls that are adjacent to these walls (attached at the corners). 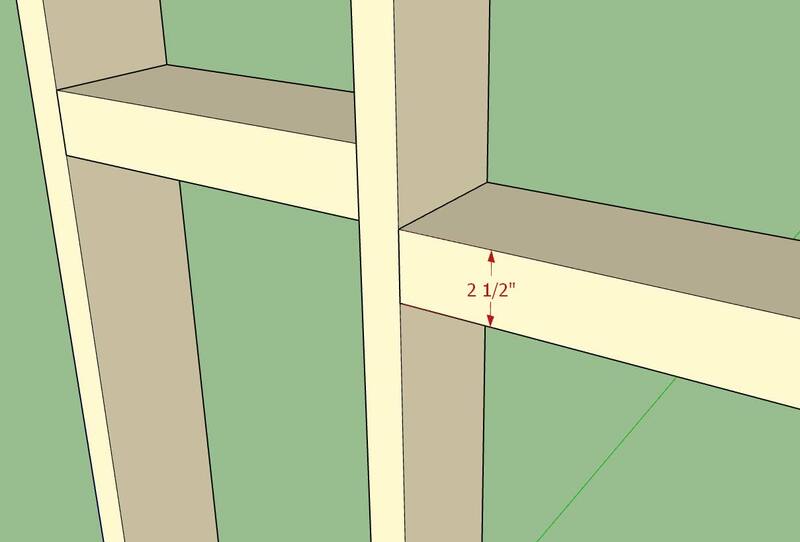 Each wall type may require its own special auto-corner configuration algorithms. As long as I keep things modular all of this complexity shouldn't be too big of a problem. I am actively looking for affiliates to help promote the plugin(s). I have already setup an affiliate system for the Wall Plugin within my billing system. For those of you who have a website or some other means of marketing and would be interested in providing a link (to the plugins) on your website or by some other means, please feel free to contact me at nathan@medeek.com or 425-652-4188. As I was going down through the list this morning and my notes I've also noticed that there has been quite a demand for multiple layer gypsum walls (firewalls). To do this I would need to create a new attribute library folder which basically means that this would break backward compatibility of the plugin again. A total of eleven new parameters. Let me know your thoughts on this, is there a better way to present these options or somehow condense this information into a simpler form? For example one could install a layer of foam under a layer of gypsum or OSB under the gypsum or any other possible combination. 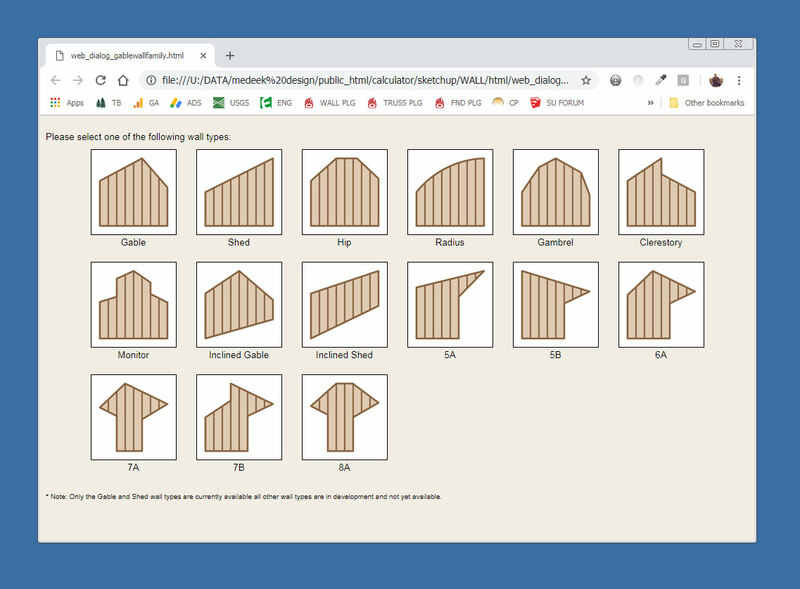 - Created the gable wall matrix selector for the new gable wall module. 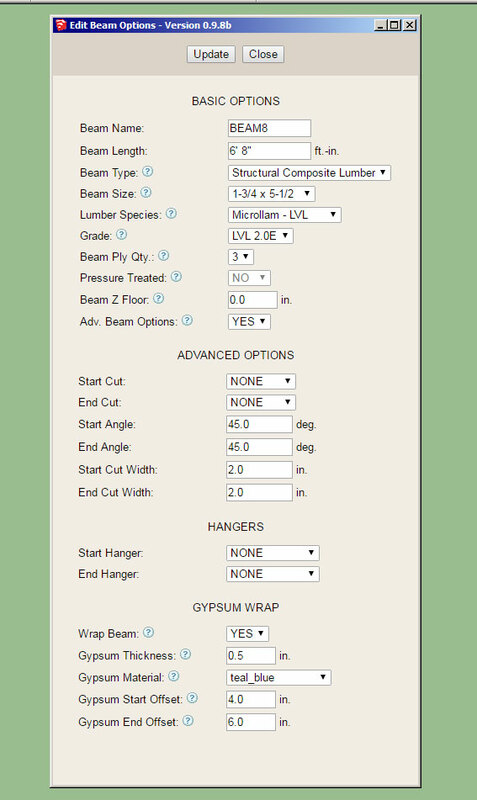 - Added the ability to wrap beams with gypsum and updated the beam menus with this new feature. This update will break backward compatibility for beams created in previous versions of the plugin. 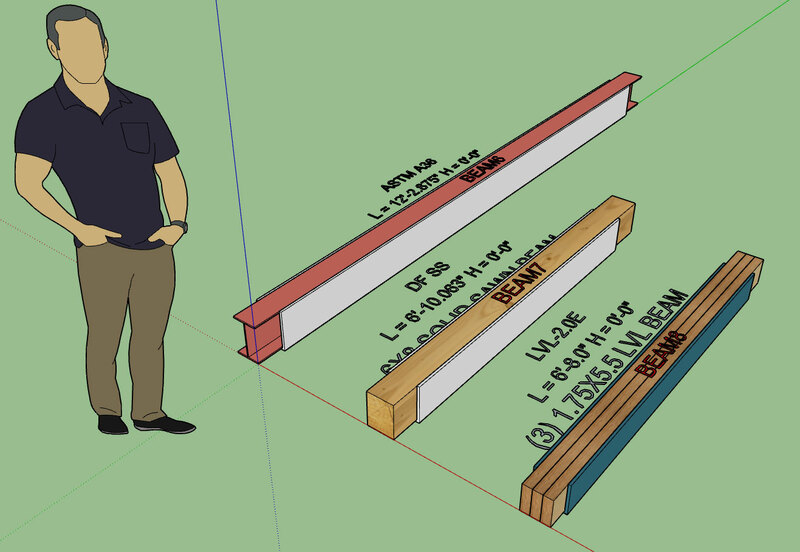 Note that the material used to wrap the beams can be chosen from the custom materials so technically any material can utilized. The start offset and end offset allow the designer to pull back the wrap any specified amount to allow for beam pocketing or in the case where the beam extends beyond the wall to the exterior of the building. The wrap covers the sides and bottom of the beam. Thickness can also be specified as shown above. Note the 18" offset from the end of the beam. Also note the use of the miter cut and the notching out of the gypsum, sheathing and cladding (advanced options for the column with beam pocket). Surprisingly there is quite a lot going on here even though the geometry looks relatively simple. Per user requests I've enabled an additional parameter for windows so that you can assign a manufacturer to the installed windows (door also coming soon). Note that the window geometry itself is not manufacturer specific but is controlled by the users preferences. In the near future I will also be creating a window and door preset feature so various options can be pre-configured. The label is actually its own group/face on the dimension 3 layer and can be toggled by turning this layer on or off. In the future it might be useful to enable a tool that allows one to switch all of the windows and door from one manufacturer to another with the single click of a button. If a cost database is setup for the various manufacturers then the estimating module can create comparative cost estimates depending on the manufacture of the fenestration. The label is constrained to a square 8"x8" and offsets the window glass by 0.125 so that it does not z-fight with the window glass. Please send me any window and door manufacturers that you would like to see added to the plugin. - Added a manufacturer's label and fields (mfr. and series) for windows. - Shutters Option added to the Windows tab of the global settings. 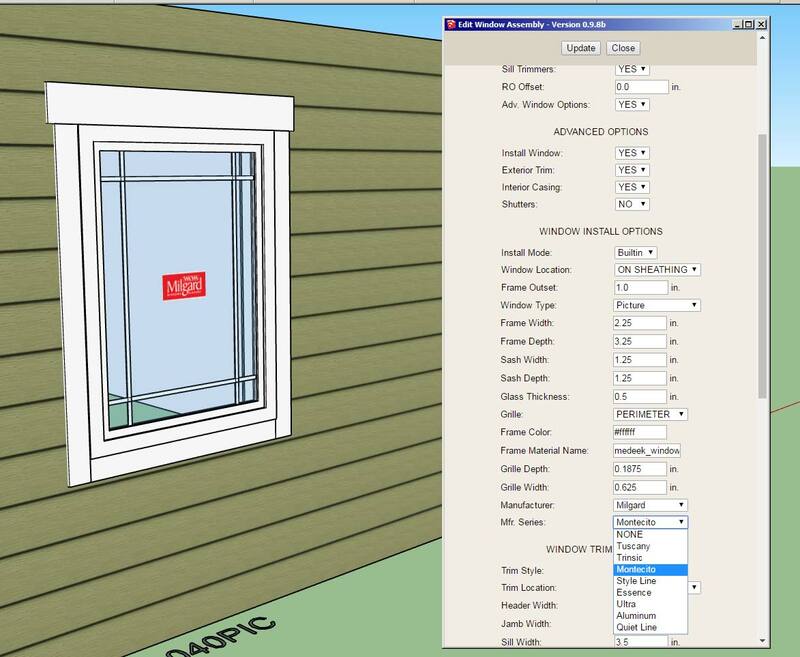 - "Window Trim Inset" parameter added to the Windows tab of the global settings. 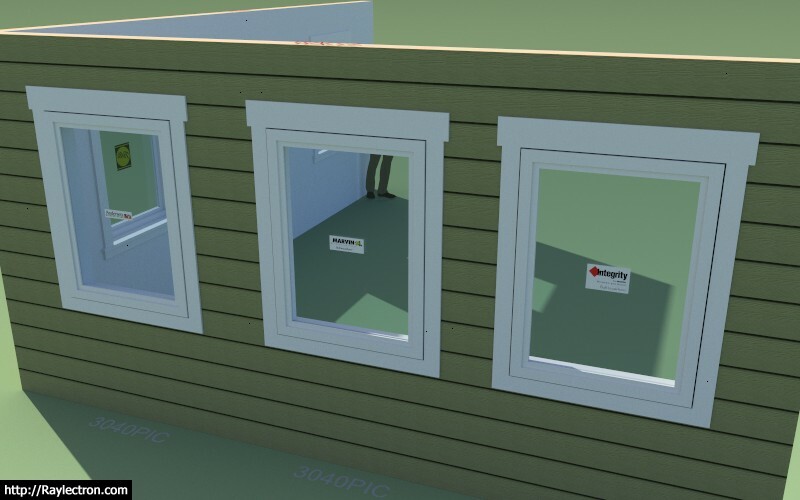 The Window Trim Inset parameter allows the trim to be brought right up against the window. 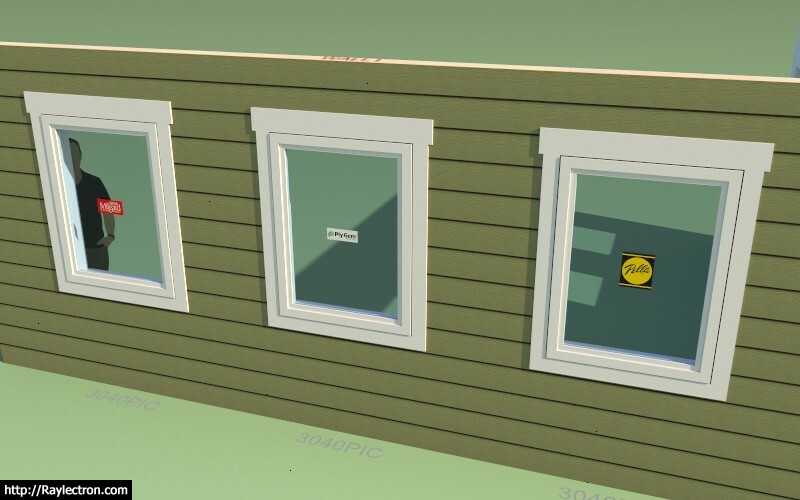 Previously the trim around the window was flush with the framed opening however since the window is typically 1/2" less in overall size than the framed opening this left a 1/4" gap all the way around the window. 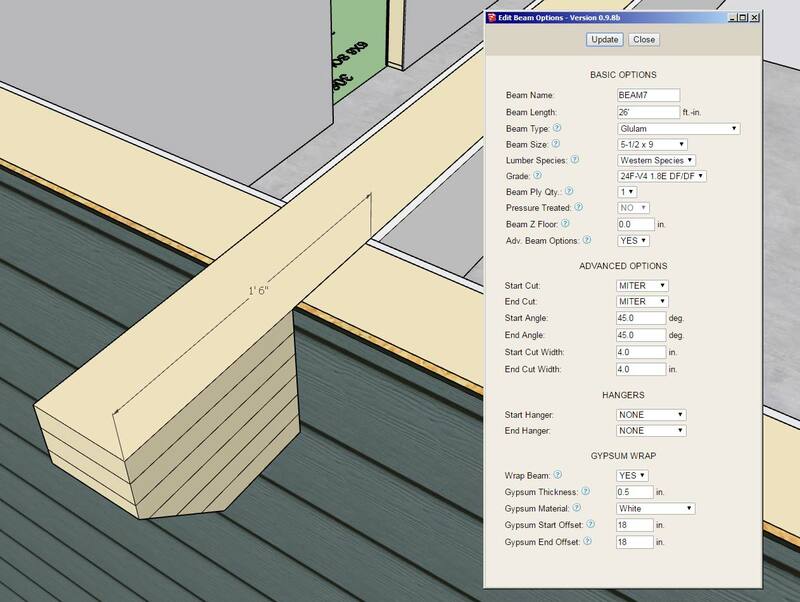 The default value for the inset parameter is 1/4" so that the trim butts right up to the window frame. This parameter can be set to a positive or negative value. If the parameter is set to zero then the trim will be flush with the framed opening. The shutter option parameter allows one to set the default behavior of this advanced option for the window draw tool. The manufacturer series parameter has been added however I have not yet added all the series for each manufacturer. 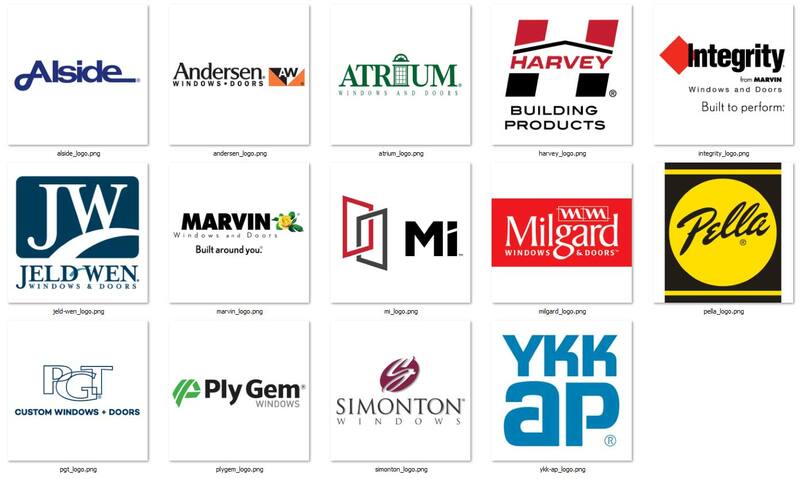 I will be contacting each manufacturer and inquiring which of their window series should be added to the plugin. This weekend was one of those deals where life kind of got in the way. Busing kids to prom and taking my two youngest to breakfast at McD's, not exactly a breakfast for champions but a good time none the less. I did manage to put out a few small fires and take care of some items that were a bit lower on the list. I'll hit it hard again tomorrow, really excited to get the first iteration of the gable wall out. 2.) Just a reminder that loading and using a preset is a three step process (this needs to be streamlined into a two step process). Select the preset from the drop down menu, load the preset (click the load button) and then activate the newly loaded values with the update button (click the update button). Then begin to draw. 3.) Inserting the wall groups within other groups essentially hides them from the plugin. The auto-corner config module is looking for wall panel groups in the root of the model. It does not check inside of other groups and look for nested wall panel groups. If you place wall panel groups within other groups it will essentially ignore these walls, it doesn't know they exist. In the global settings I am calling the (three) layers that I use for labels and annotations "Dimension" layers. What would be a better name to give these layers? - Critical fixes in the following modules: Auto-Corner Config, Shutters, Sheathing and Cladding. - Loading wall presets changed to a two step process. Clicking the update button is no longer required to activate a loaded preset. - Wall edit menu updated to allow for sequential selection of wall panels for quick editing. There are even more minor fixes that are too numerous to list. The wall edit menu update should be a welcome fix. If you are right clicking on each wall to edit them then each time you right click and "Edit Assembly" the wall settings will appear in the edit menu for that wall. Previously a separate window would open up for each wall panel but only the last edit window actually worked. This resolves that issue and makes it more intuitive and robust. If you are using the edit icon to edit walls this is even a quicker method of selecting and editing walls. After you select a wall the tool remains active and you can continue to select and update walls by clicking on your target wall panels. To terminate the tool, close the edit menu and hit the space bar. Both methods of editing are now faster and much more intuitive and robust. - Corrected a bug in the Walls tab of the global settings involving the wall presets selection field. - Added a blocking thickness parameter in the Walls tab of the global settings. This particular bug in the Walls tab only became an issue when a previously selected default preset was deleted and then the user navigated to the Walls tab after the deletion. Not a really big issue but in a certain state it will lock up the form and not allow the user to save their settings. The blocking thickness parameter was a quick item to add per a user request. Note that this is a global default and cannot currently be adjusted per wall panel. If we need more granularity I can do that but it means an additional parameter in the attribute library of the wall panel which means it will break backward compatibility with previous versions of the plugin. - Fixed a bug with the blocking parameter for metric templates. If your using metric templates you will want to upgrade to this version otherwise your blocking will appear too large as it will not be converted from millimetres to inches in the final drawing step. A critical fix for clients using metric.